Dennis Ralph Hegg was born on September 4, 1944 in La Crosse, Wisconsin. His parents were the late Ralph Osmond and Dagney Bergloit (Lunde) Hegg. 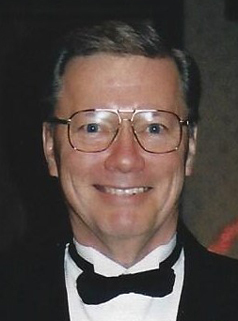 Dennis attended Fosston High School in Fosston, Minnesota, then Amery High School in Amery, Wisconsin, graduating with the Class of 1962. He moved to Chicago, Illinois where he was employed as a shoe salesman. He was united in marriage to Donna Spencer in 1963, they were married for 22 years and their marriage was blessed with four children. They resided in Amery, Wisconsin. Dennis proudly served in the United States Marine Corp from 1963 to 1966. They resided in Riverside, California. He moved to Northeast Minneapolis, where he was employed at Graco Inc., retiring in 2008, after 41 years of employment. On June 23, 1996, Dennis was united in marriage to Ann Thoen at Cross of Hope Lutheran Church in Ramsey, Minnesota. They made their home in Maple Grove and enjoyed their summers at their Pelican Lake Cabin in Merrifield, Minnesota. Dennis enjoyed hunting, antiquing and riding his Badger. On September 4, 2018 Dennis passed away surrounded by his loving family, at the Cuyuna Regional Medical Center in Crosby, Minnesota at 74 years of age. He will be dearly missed by his family and friends. Preceding Dennis in death were his parents; and daughter, Coleen in 1968. Dennis is survived by his wife, Ann Hegg of Maple Grove; daughters: Dawn (Jeff) Schwartz of Sebeka; Tammy (Keith) Waln of Wadena; and Debra (Daniel) Eguwe of Wadena; 7 grandchildren: Carrie (Nick), Sarah (Vance), Kelsey, Dylan, Elizabeth, Nicholas and Chloe; 4 great-grandchildren: Caleb, Maya, Garrett and Connor; sister, Julie (Tim) Moore of Everett, Washington; brothers: Roger (Bonnie) Hegg of Amery, Wisconsin; Bill (Sue) Hegg of Amery, Wisconsin; Don (Katy) Hegg of Corcoran; and Mark (Paula) Hegg of Duluth; many other relatives and a host of friends.